Hot news coming out of the Mad Monster Party in Charlotte, North Carolina. 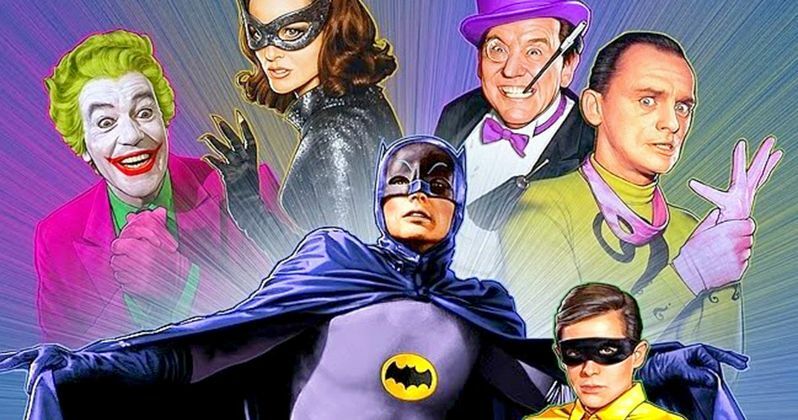 Original stars of the hit 1966 live-action TV series Batman are returning to reprise their roles in a new animated movie. While an exact release date has yet to be announced, the film will hit Blu-ray, DVD and VOD in 2016. It will be released in conjunction with the big screen Batman v Superman: Dawn of Justice, and it promises to provide a campy alternative to that film's more serious take on the DC superhero mythos. Burt Ward, who played Robin in the original series, broke the news while participating in a Q&A with co-star Adam West. Both will return to their respective roles for this brand-new animated film. Burt Ward says the movie will run 90 minutes, and there is the possibility of a new animated Batman franchise, as a second movie is in the works. Though, a second movie actually getting released depends on how well the first one is received. While not confirmed, the film will most likely be released as part of Warner Bros.' DC Universe Animated Original Movies, but it probably won't tie into their ongoing story lines, standing as its own entity.